This online Asbestos Awareness Course delivers training that helps to ensure compliance with legislation from the Health and Safety Executive (HSE) and the Control of Asbestos Regulations (CAR) 2012. 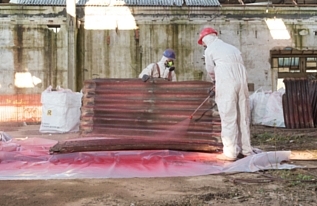 Industry regulations state that Asbestos Awareness Training is obligatory for those who are involved with or affected by disturbing the fabric of a building. As a leading accreditation body in the UK, and with growing membership worldwide, the fact that this is CPD certified shows the value added in helping to ensure compliance with Control of Asbestos Regulations, and makes the training valuable for those working in the construction sector. If you are involved in these activities then this Asbestos Awareness Course is an easy and cost-effective way to receive the required training and certification, at only £20 + VAT per person. This course teaches the responsible person – the Duty Holder – how to deal with asbestos, including maintenance, repairs and alterations, while on site. Who will require a licence? The Asbestos Awareness Course lasts for approximately 2 to 3 hours, including the assessment. You can buy and complete this training online for £20 + VAT, per person. This training has been developed by Virtual College in line with the latest industry best practices and criteria for legal compliance. They are one of the leading UK providers of health and safety training online having provided courses to over 3 million learners. This courses is also CPD certified. You can buy the asbestos awareness training online from Virtual College and gain a certificate on completion of the study materials and assessment. +44 (0)114 307 2357 to discuss discounts.